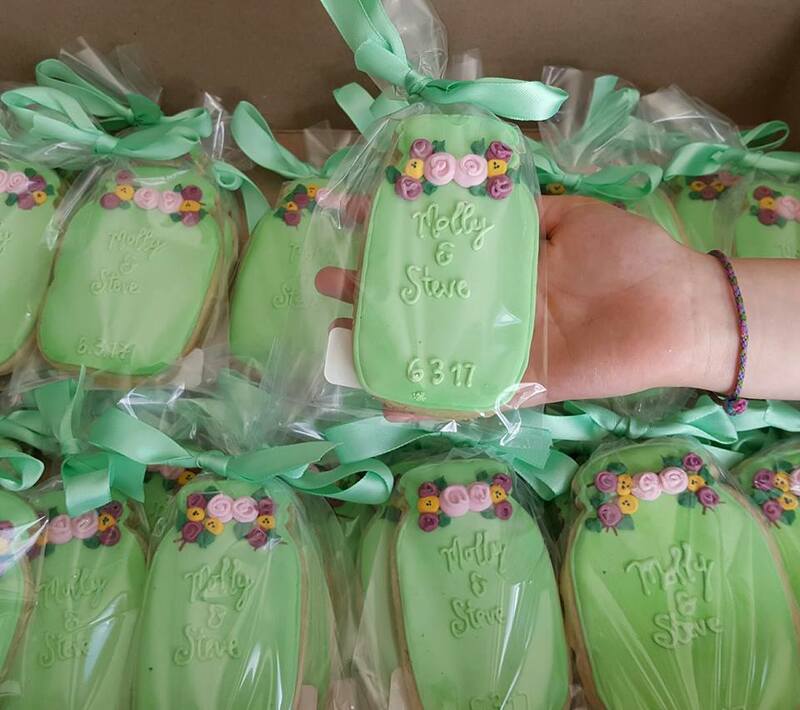 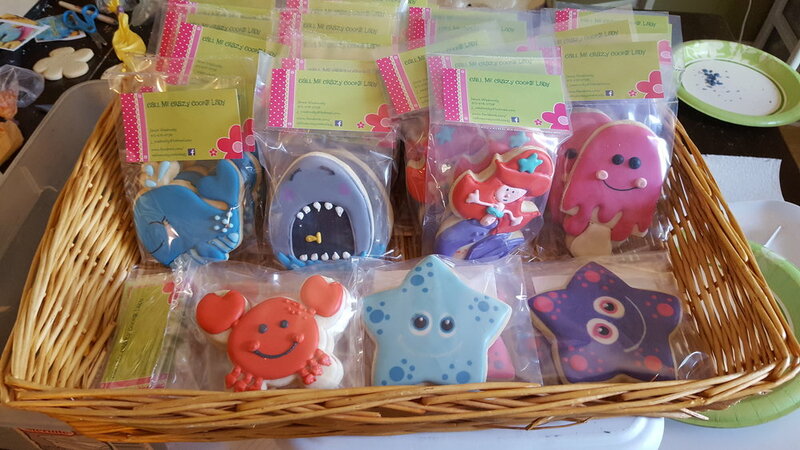 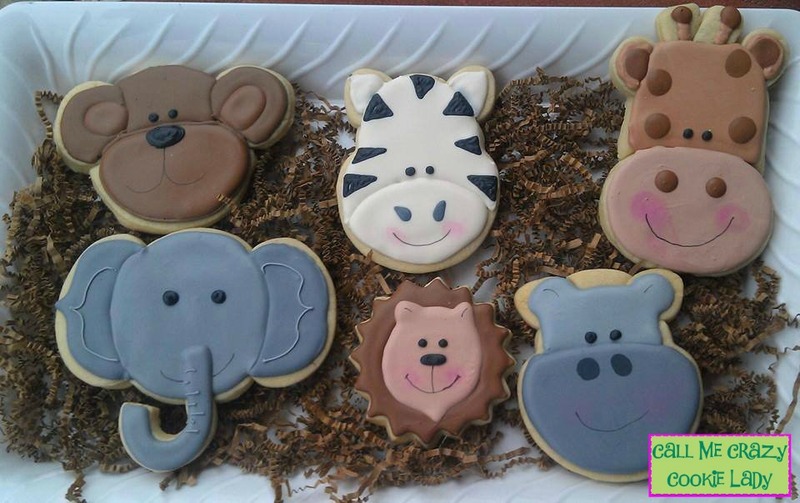 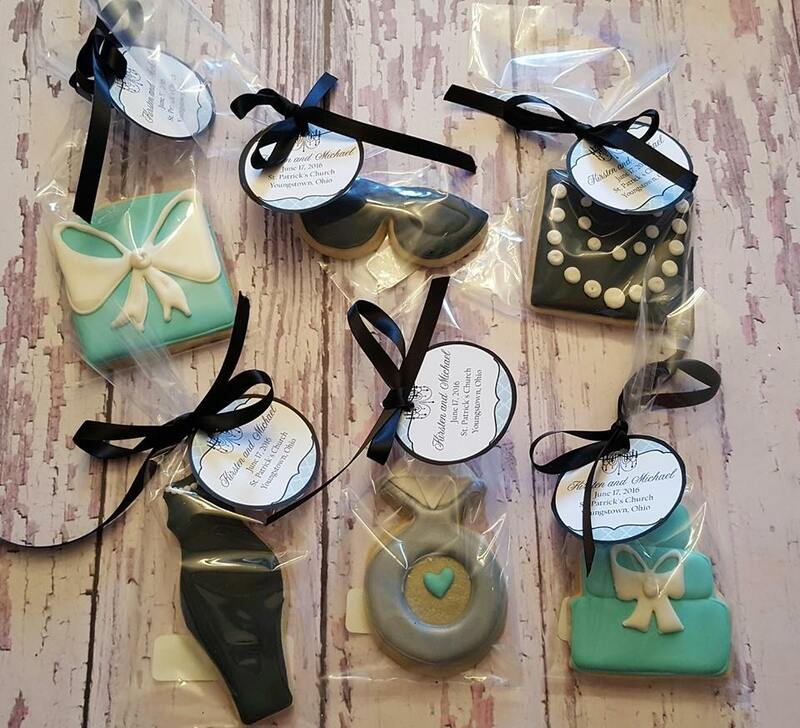 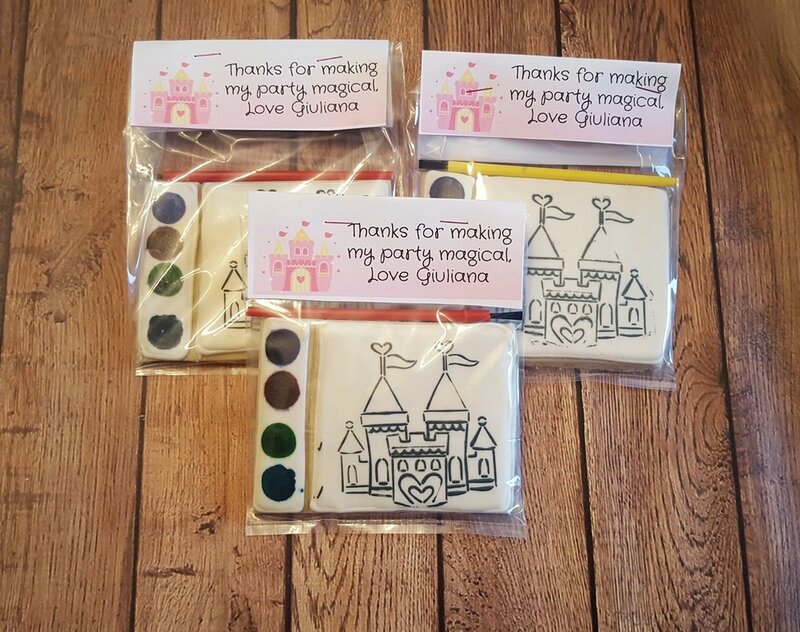 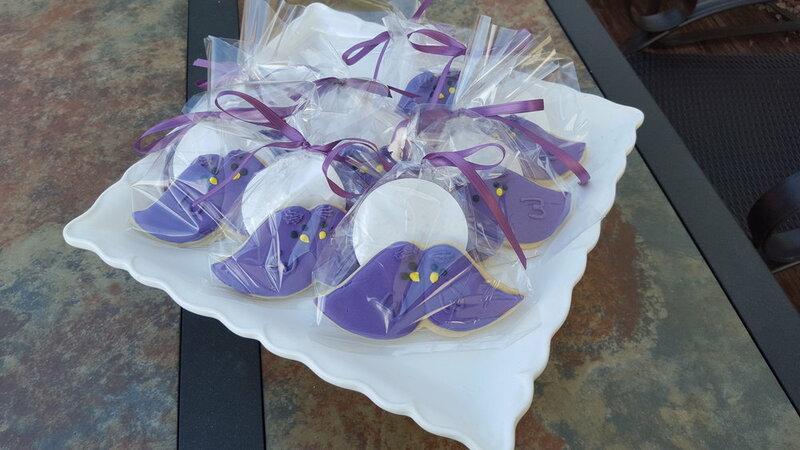 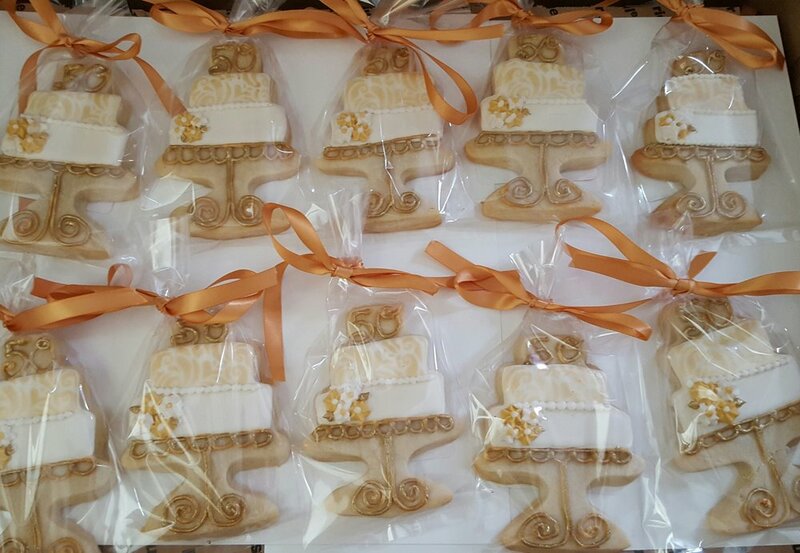 These cookies are placed in cello bags and closed with matching curling ribbon, heat sealed or with a custom bag topper. 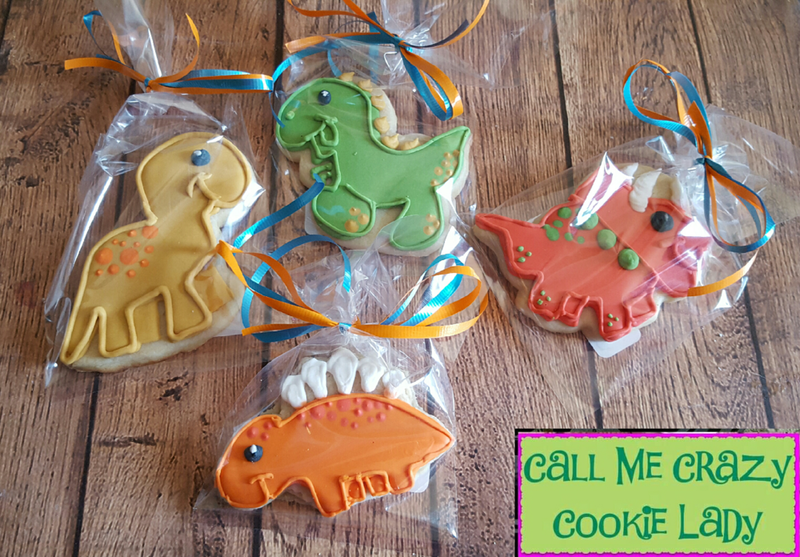 They're perfect for giving to your guests to take home, using as place cards at weddings, or handing out to kids at parties . 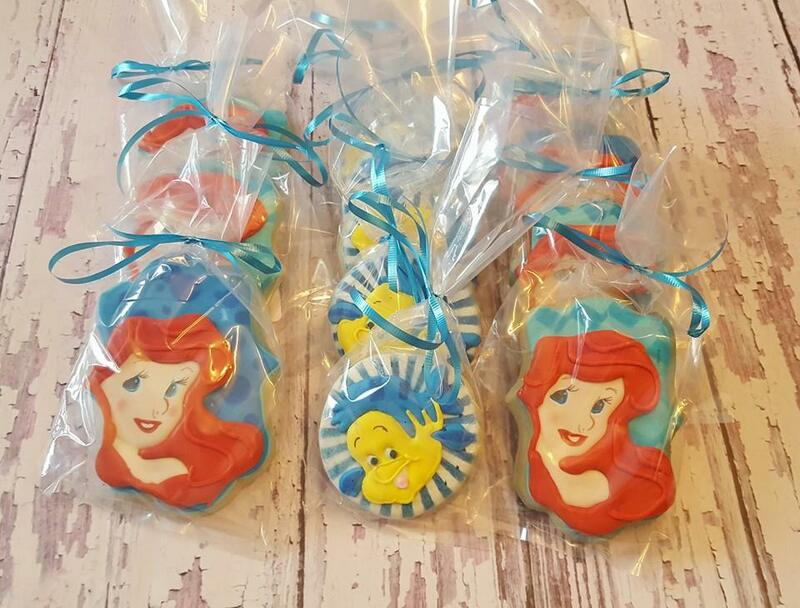 * Two to three mini cookies (depending on size), placed together in a bag. 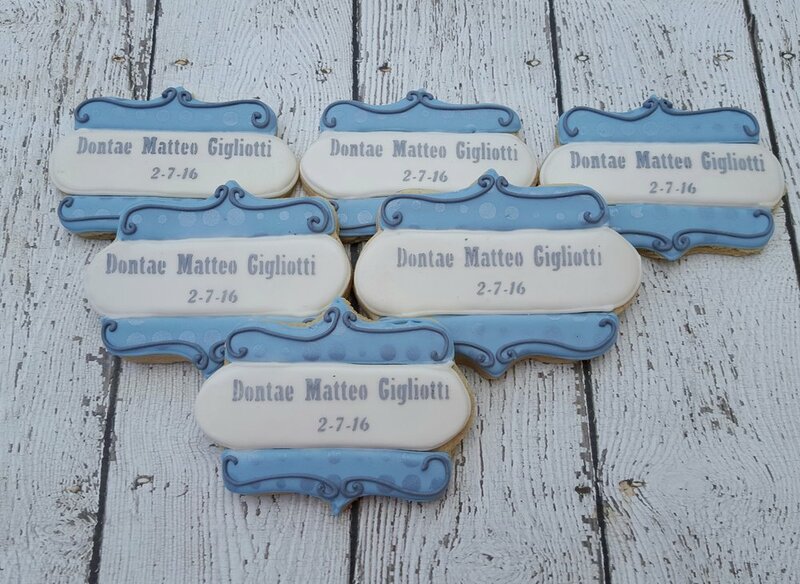 Minimum order of 12 regular-sized cookies or 48 minis. 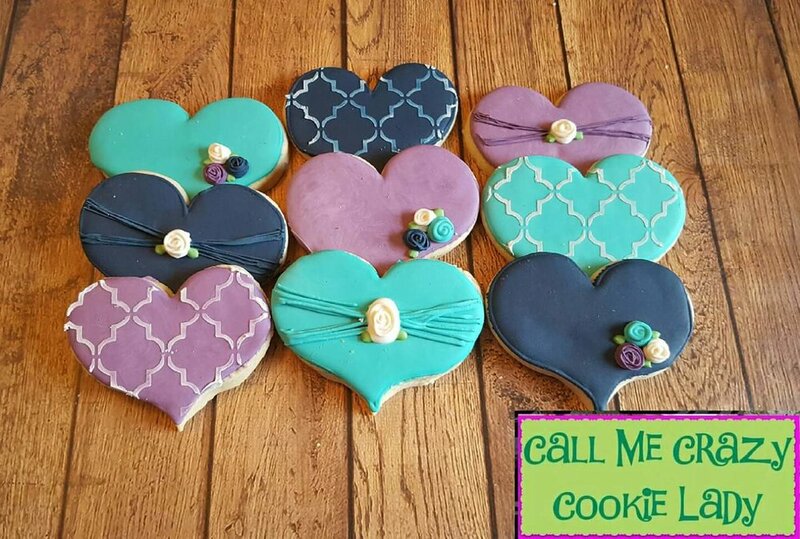 If you don't see exactly the cookies you'd like, just let me know. 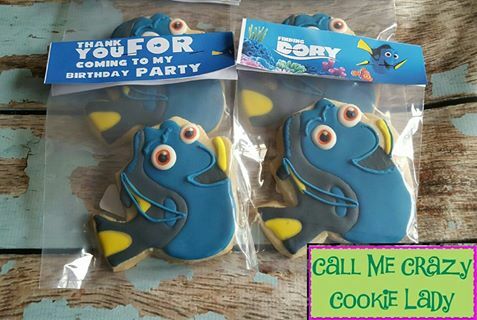 Perhaps I can make them! 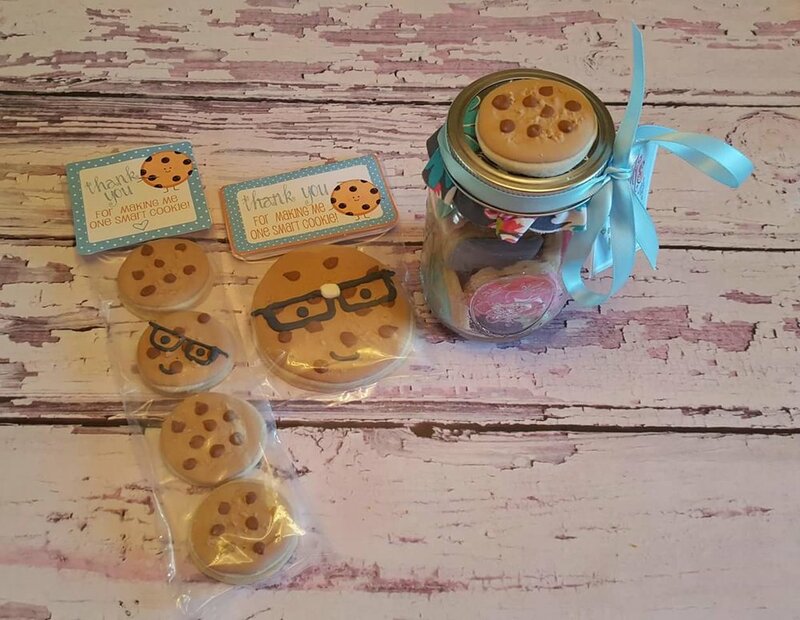 If you prefer your cookies on a platter, please read all about that here.